Slow Cooker Cranberry Sauce is sweet, tart, and cooks up easily, making the house smell good! 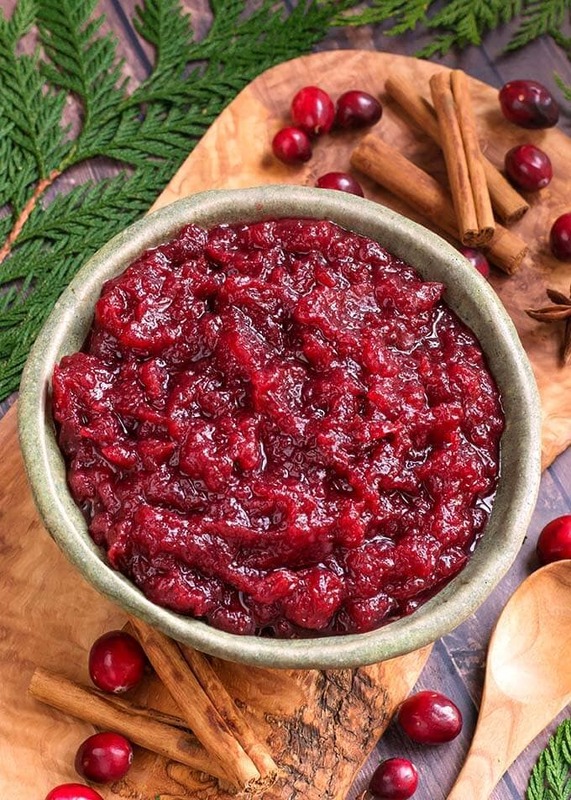 Crock pot cranberry sauce is delicious and a perfect Thanksgiving side dish recipe. 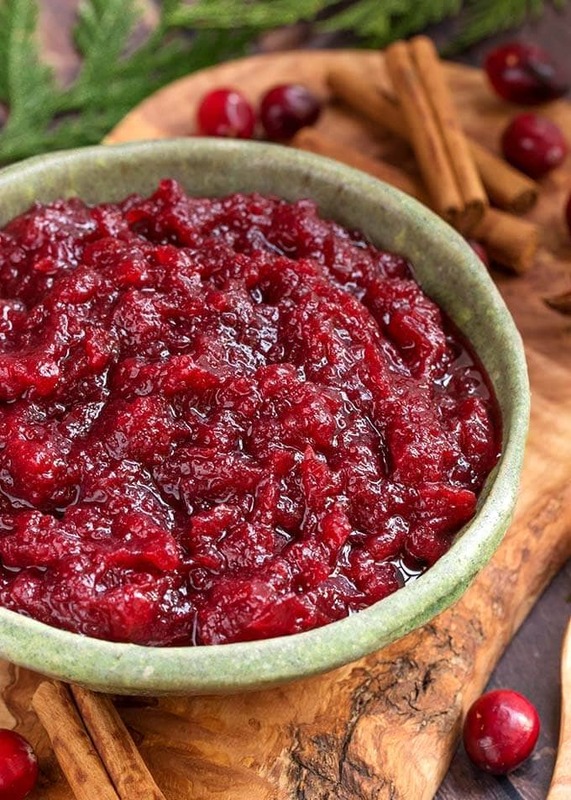 Serve this homemade cranberry sauce with turkey or pork. First off, I have nothing against the canned cranberry sauce. After all, that’s what I ate growing up. Except when I got to go o Nana and Grandpa’s house. Nana made her cranberry sauce from scratch, and it was awesome! Nana used about twice the sugar that I do, but that might be part of the reason I loved it so much as a kid! When I tried making her recipe as an adult, it was way too much for me. So I cut the sugar in half for my version. My dear Nana made her cranberry sauce in a pressure cooker, so of course I did too! 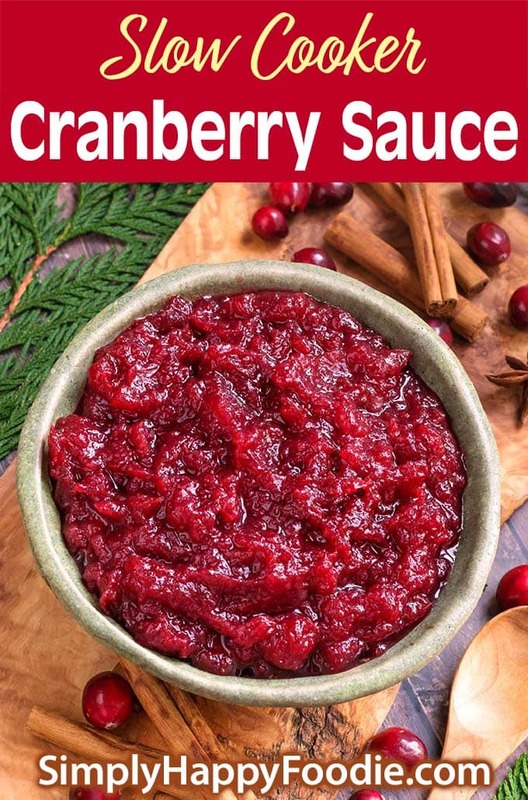 Try my Instant Pot Cranberry Sauce. Since I cook a lot in my slow cooker, I decided to make a version of my IP cranberry sauce for the Crockpot. It’s nice to let it cook while I do other things. • Be sure to stir the cranberry sauce once every hour. This helps the mixture cook evenly and not scorch. • You can use all white or all brown sugar. I like the mix of the two. • If you don’t want to use orange juice, use all water. • Feel free to add more cinnamon, or even a star anise for more Holiday flavor. Slow Cooker Cranberry Sauce is sweet and tart, and cooks up easily, making the house smell good! 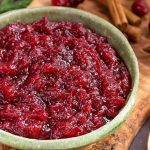 Crock pot cranberry sauce is delicious and a perfect Thanksgiving side dish recipe. Add the cranberries to the slow cooker. Mix together the remaining ingredients and pour over the cranberries. Place the lid on the crock and cook on High for 3-4 hours, stirring once every hour. Cranberry sauce is done when the mixture has thickened and the cranberries have burst.